I am excited to walk this journey with you. The plan is to give weekly updates on my journey in turning around the culture of a program I help coach. I welcome any feedback, ideas, and suggestions you might have as you read through this. You are also welcome to share this with any other coaches you think could benefit from it, and please have them email me at [email protected] if they would like to be added to this email list. This is my 2nd year as an assistant coach for a boys high school lacrosse team. My son is a sophomore on the team. The head coach was hired and helped start the program 10 years ago. There are 2 other assistant coaches, one played for the program and is currently in his 3rd year of college, the other has been involved with the program right from the beginning. There are approximately 30 kids on the team, only 5 are seniors, there are a bunch of juniors, only 5 or 6 sophomores, and 5 freshmen who have played for several years and 5 more freshmen/sophomores who are brand new to lacrosse. Lacrosse is a spring sport that runs from February to May. We also do an optional fall tournament in early November with 8 weeks of practice leading up to it, practices are 3 days a week in the fall and 5 days a week in the spring. I would rate the culture from last year as a 3 out of 10. The good: The head coach means well and is very knowledgeable about lacrosse. The biggest malcontent player from last year was a senior and is gone. The bad: The head coach struggles with ‘the curse of knowledge’ – he is older and has been around lacrosse his whole life, playing in college at the Naval Academy. This background also leads to him being pretty old-school in his style and not placing much of an emphasis on building culture. I approached the head coach in the offseason and let him know I had been to 3 different clinics/conferences over the summer that focused on building culture. I asked if I could take on the role as ‘Culture Coach’ for the team this year. He and the other assistant coaches were very receptive to this and acknowledged last year was one of the worst teams they had been around chemistry-wise. I had the opportunity to meet with the Scott Hearon, the co-founder of a local organization called the Nashville Coaching Coalition. They do coach training to help programs build great culture into their program. 2 weeks after meeting with Scott he contacted me and said they had been given a grant and could train our coaching staff at no cost. This training includes meeting once per week for 8 weeks and we will go through the book Inside-Out Coaching by Joe Ehrmann. The staff agreed and we are scheduled to do this in November and December. I proposed we purchase Adam Bradley’s LeadEmUp program for $329 to train our captains, we are discussing this and hopefully we can do this in the downtime from November to January before our spring season kicks off. I have since attempted to get us together several times to establish some core covenants as a coaching staff before our fall session begins, never got much response or traction with this. “Are you guys excited about this team this year?” – An enthusiastic “yes” response from most players. “Do you think there are things we could do better than we did last year?” – Again an enthusiastic “Yes, many things” from most players. The plan is to use a room in the library that is right next to our practice field and have a 45 minute kickoff meeting with the PLC. We will have them brainstorm on what their vision for this team is, and what we can do better from last year. Then we will start the process of going through our practice format and discuss better ways of doing things. For example, starting right at the beginning – we run 4 laps to start practice. The players all run at different paces, and cut all of the corners. Should we run as a team or in position groups or keep doing it as we have been? Should we put cones in the corners and commit to not cutting them? Question if you have feedback: I am debating whether or not to include the head coach in this meeting. Do we come up with suggestions/improvements and then have the players propose them back to the head coach in a separate forum? I am leaning towards this option because I like the idea of the players getting to develop their leadership, presentation, and selling skills. 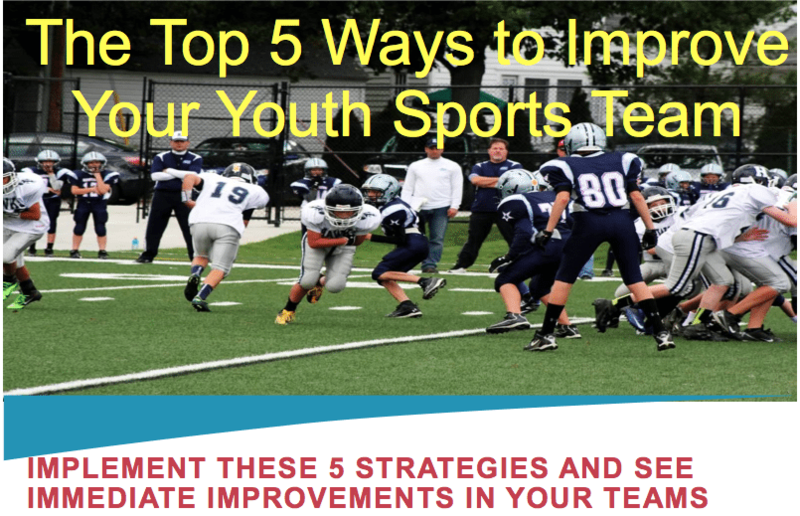 This entry was posted in Youth Coaching Blog and tagged in Aspen Institute, building culture, championship culture, coach, Coaching, coaching podcast, coaching youth, coaching youth sports, culture, dad, podcast, podcasts, positive culture, Project Play, sports, sports podcast, team culture, Winning Youth Coaching, Winning Youth Football, youth, youth coaching, youth sports, youth sports podcast.